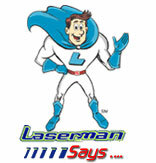 Laser Wash was formed in 2003 by two Rochester, NY businessmen. Each brings more than 30 years experience to their newest venture with their vision of acquiring, owning, operating, and managing user-friendly, high quality car washes. Our mission is to provide customers with a fast, convenient, safe and affordable car wash experience using the most technologically advanced systems, highest quality products, and state-of-the art facilities. We currently own and are successfully operating 12 car washes. We operate our car washes under the name Laser Wash Touch Free Car Wash.
Robert W. August, member, has 30 plus years of experience in the car care industry. Formerly Senior Vice President of Monro Muffler, Bob has an extensive background in sales, marketing, and operations. David C. Magee, Chief Operating Officer, is the managing member. He brings over 30 years of experience in corporate sales, marketing, management, operations, and finance to Laser Wash Group LLC. Bob and Dave have a combined 60 plus years of highly successful business experience, with Bob specifically running businesses in the car care industry. Their backgrounds bring the knowledge of what it takes to produce a clean car in the most efficient manner so that our customers will feel great about their vehicles. These men know what it takes to own and operate a business! This translates into the optimal experience for serving our customers in the best manner possible in the car wash industry. To find a Laser Wash Touch Free Car Wash near you, or to obtain contact information, maps and photos of any of our individual carwash locations, go to our Locations page. In addition, HELP numbers are clearly posted on HELP signs at each location for anyone needing immediate assistance of any kind while at any of our carwashes. Clean up on your next fundraiser with LaserWash! Put your organization on the road to easy and successful fundraising. For more information and to get started with your LaserWash fundraiser, Contact or call us at 585-218-0597 or Toll Free at 800-953-0598.